The Jordan customer signed with our company formally who has inspected the food waste production line a while ago. The both sides reached agreement on the detailed of the cooperation. The contract marked that the project is started transnational cooperation. Our company’s food waste production line is settled in Jordan. 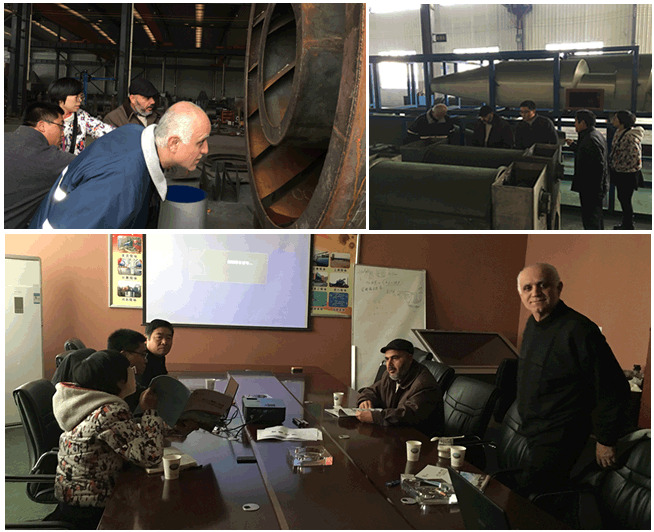 In the last December, the Jordan customer has inspected our company. The both sides has communicated with the project. The customer was satisfied with the equipment of the food waste production line of our company. The Jordan customer is strict with the quality and capacity of product. Through long time marketing investigation and layers of screening, they decided to cooperate with our company. This cooperation is the first time that our company exported the equipment of food waste production line to the Jordan. Our company’s leaders take the project cooperation seriously. After signing the contract, all departments entered into the relevant work to ensure the project schedule and strive to make the customer use our star project as soon as possible. Zhengzhou Dindli has been founded for many years. Our company insists the products requirements of high standard and high quality and leading in the industry all the time. We develop the technology continually, improve the quality of product and establish lasting cooperation with the customer domestic and overseas. Zhengzhou Dingli will provide the high quality equipment and thorough services to the customers in the future. Welcome the customers to inspect our factory.